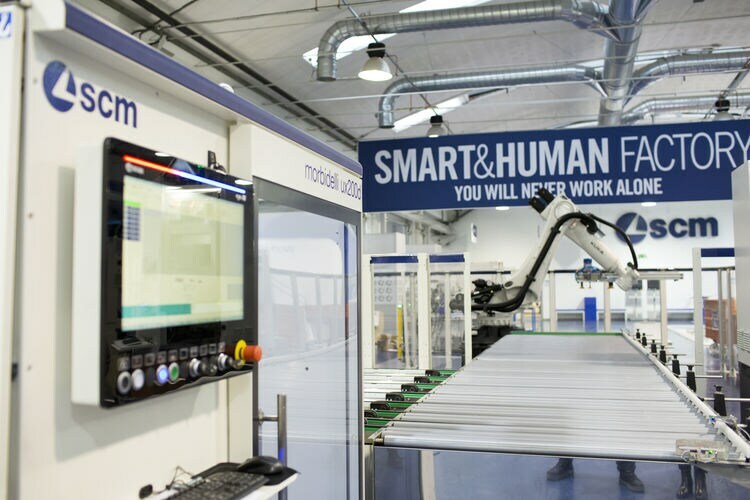 We're just days away from the SCM “Smart&Human Factory” open house, to be held from 31 January until 2 February at the Rimini Headquarters Technology Centre. Automation through integrated robotics will take centre stage at the event: flexible, modular new plants and systems, designed to promote automation that is as “friendly” as possible. As well as significantly simplifying the factory, this also makes it more efficient, creating a new model of interaction between humans, robots and machines in open, safe cells. All with the possibility of reconfiguring the production process whenever necessary to quickly meet the requirements of ever-smaller “order to production” batches. In addition to new SCM automation products, the event will include the world debut of the new CNC Nesting machining centres, developed to apply the best of morbidelli “all-in-one” technology to this type of machining too. But that's not all, because the SCM team has a lot more in store for the entire secondary woodworking sector, from joinery to large-scale furniture industry. We look forward to seeing you in Rimini from 31 January.